In September 2016, a street theater group toured several German cities with a performance called “Schluck & Weg” – literally meaning “swallow” (the pill) and the disease is “gone” – publicly staging the saliency of antibiotics resistance as a pressing global health issue. The main protagonists in this performance were the “super agents” Alpha and Beta, decorated agents who have successfully served for a long time in their battle against evil bugs. But a surprising strike from “super bugs” hitherto unknown to Alpha and Beta has confronted our super agents with an experience of total impotence in the face of these newly emerging antagonists. Licking their wounds and puzzling over what has actually happened and why, the super agents begin to trace the lineages of their predicament — and thus the histories of microbes resistant to antibiotics (BUKO Pharma 2016). Antimicrobial resistance (AMR) has also been a concern at the recent joint meeting of 4S/EASST in Barcelona. Within the track on “Antagonists, Servants, Companions: the Sciences, Technologies and Politics of Microbial Entanglements”, a full session was dedicated to the multiple problem of AMR, exploring diverse aspects and dimensions. Problematized in the United Kingdom and the United States in the 1960s and almost two decades earlier in Scandinavia (Podolski et al 2015), antimicrobial resistance (AMR) is hardly a new fact. However, its political and societal saliency seems to have changed dramatically in recent years. AMR was framed by the World Health Organization as an imminent threat to global health, both in the rich countries of the North where hospital-acquired infections with resistant bacteria pose challenges to health care systems, and in the South, where the treatment of severe endemics – such as Tuberculosis – runs into constraints due to the proliferation of resistant strains (Blasner 2014). But AMR is truly a global issue in an even more comprehensive sense: as microbes do not abide by the normativity of socio-political boundaries, the WHO has inscribed AMR into the “One Health” paradigm, which means that it affects the entire world irrespective of geographical boundaries, but also that it ignores inter-species boundaries proliferating precisely through the entanglements between humans, animals and even plants. At 4S/EASST, I remember this session as particularly intriguing not only because of its thematic topicality, but also because it raises questions for STS that go well beyond the scope of AMR. Let me briefly capture the four presentations in a nutshell before returning to some further thoughts on these matters. Inge Kryger Pedersen (U Copenhagen) presented findings from a collaborative project, asking how the situated local practices in medical care interrelate with efforts to tackle global problems, such as AMR. As many efforts to act upon AMR address physicians in their ability to prescribe antibiotics, various guidelines had been drafted that seek to police and promote the “rational use” of drugs. Hence, norms of “good doctoring” (usually centering on an individual patient-doctor encounter) have come to be closely intertwined with notions of “prudent use” of antibiotics (subject rather to statistical reasoning and the indicators of evidence-based medicine). And yet, when translated into the realm of everyday medical practice and the doctor-patient-relationship, these guidelines leave considerable space for professional discretion and case-by-case maneuvering. Approaching the combat against overuse from another angle, Catherine Will (U Sussex) explored public campaigns against antibiotics overuse that seek to act upon the desire of patient-consumers and their attachments to practices of antibiotics use that had been cultivated throughout past decades. Will shows that these policy campaigns seek to “detach” publics from antibiotics by invoking individuals and publics simultaneously as rational subjects and as passionate subjects of desire attached to certain notions of disease and treatment anchored in social norms and tacit routines (One campaign poster for instance informs the public that “40% of all Europeans wrongly believe that antibiotics work against colds and flu”). Focusing on how public knowledge of AMR is co-produced between different social domains, Stephanie Begemann (U Liverpool) set out to study how the science of AMR is taken up and communicated in the media. Her findings add rich empirical detail to the notion that AMR is a controversial issue that crisscrosses multiple sites and domains where its meanings may significantly alter. Taking up the cudgels for STS research, Begemann’s argument suggests that knowing how and where exactly the “multiple ontologies” of AMR are being established may shed light on emerging controversies and help to better tackle the problem in practice. Similarly, Sujatha Raman (U Nottingham) addressed the question of how knowledge on AMR is produced and diffused, yet taking a slightly different take on this matter. Raman explored how different framings matter in the ways we conceive of and address the problem of AMR. To begin with AMR is broadly framed as an imminent, human-made global threat and as such shares many similarities with climate change. In past years, the idea has taken shape to establishing an International Panel on AMR modeled after the Intergovernmental Panel on Climate Change (see Woolhouse/Farrar 2014). A crucial difference might be, though, that the science of AMR is — yet? — less contested than the science of climate change: scientific accounts present strong evidence that AMR constitutes a profound systemic problem on a global scale, precisely because it unfolds in a complex eco-socio-techno-economical system (see the illustration in Figure 1) and there seem hardy radical controversies over these facts; yet, the policy responses to AMR are predominantly framed in terms of – and thus seek to act upon – individual behavior. In sum, this rich session provided an intriguing picture of AMR and the important role of STS research in this field of actuality. What all four presentations emphasized is that AMR is being problematized predominantly as a pressing policy challenge, and not primarily a scientific controversy. To be sure, the “policy question” had been located at various levels and through multiple domains, and has been articulated in terms of public awareness campaigns, in the politics of representation and issue framing, or in governing (through) behavioral patterns. Clearly, these multiple policy practices intimately involve questions of science particularly in relation to public knowledge and policy programs. Re-reading my notes while working on this review made me come up with a series of interrelated thoughts and impressions that address the relationship between global (health) policy and STS. Worldwide, the vast majority of political and expert authorities seem to acknowledge that AMR amounts to a multifaceted systemic problem: a pressing human-made, apocalyptic scenario that demands immediate attention. Experts further seem to concur on how AMR developed, how it works at the microbiological and epidemiological levels, and what the social and economic structures are that make it grow. 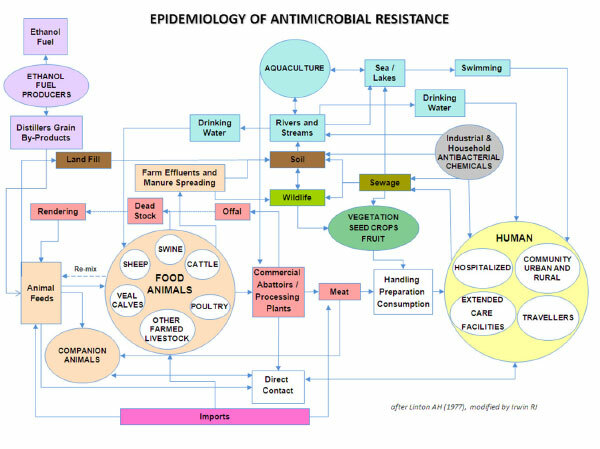 Moreover, it seems quite uncontroversial that AMR is produced and propelled not in one center or social domain, but across and in-between domains of practice: from human medicine to the livestock industries, from material production (of health, of food, etc.) to the production of collective needs and desires. As such, we could say, the question of AMR appears as a question of global capitalism in its broadest possible meaning. In this light, I expected that technoscience would have assumed a more central role in the discourses and enactments of AMR counterstrategies, compared to other STS-related policy debates over other grand challenges confronting the contemporary world: from the surge in age-related degenerative diseases to climate change and economic recession, the respective problems are more often than not framed in ways that are amenable to technoscientific solutions (for instance, “regenerative medicine”; “green bio-economy”; etc.). By contrast, the role of technoscientific innovation only seems to play an underpart in the global “war” against AMR. To be sure, I learned that there is limited biopharmaceutical R&D activity into “super antibiotics” (geared towards fighting resistant “superbugs”), and that there are considerable efforts to build and harmonize surveillance infrastructures to detect, map and monitor the global geography of AMR (O’Neill 2015, Chakradhar 2016). Yet, the dominant problem frame is one of overuse and misuse: the majority of efforts seem to focus on behavioral interventions, that is to say, programs that seek to act upon AMR through altering routinized patterns of antibiotic consumption. Moreover, these various policy programs of “antibiotic stewardship” that have been launched to counteract AMR largely remain within an individualistic-liberal framework and articulate the problem in terms of individual behavior, be it the (aggregate) individual prescribing practices of physicians or the (aggregate) demand-desire of patients for antibiotics due to embodied cultural treatment practices and/or erroneous beliefs about the reach and efficacy of antibiotic therapy. If it just were to alter consumer-choices and guide subjects to behave rationally! From this angle, AMR seems to be less a contentious (techno-)scientific issue, and more an issue of policymaking, state strategies and practices of governing: it is about getting individuals, professions, and institutions to alter their routines. Clearly, in this regard (scientific) knowledge plays an important part – and this had been reflected nicely throughout the papers in our session: framing, public understanding, practices of subjectification. But throughout the different locales and practices, it is apparent that what is at stake in the overall picture is to translate – semiotically and materially – a global and systemic problem-constellation into a series of discrete, individualized policy responses actionable at the local level (administered largely through national action plans). In this context, the key question at stake, it seems, is the question of implementation. But less has been said about the material politics of AMR, about the state-driven efforts to implement a global anti-AMR strategy, about the institutional forces that enable, channel, support or perhaps thwart these manifold efforts. Where then could be the role of further STS in research that takes these issues seriously? At this point I see a veritable chance for establishing a more intimate joint working space between STS and critical/interpretive policy studies. From their very infancy, STS and interpretive policy analysis (IPA) have formed a mutual thinking space underpinned by many shared methodological presuppositions (Gottweis 1998, Paul/Haddad 2015, Åm 2016). And yet, despite their vicinity there are hardly any efforts to comprehensively integrate the rich conceptual toolboxes of either fields. Given the specificities of AMR, as well as the general stress in STS on the co-production of science and policy, it seems worthwhile to pay equal attention to the formation of policy knowledge and to the role the state plays in articulating knowledge and practices of intervention – and hence, the “implementation” of global policies and its translation into local practices. To begin with, implementation – as technical and top-down as it may sound – is not a linear process; it always involves a politics of translation. STS stresses that in order to understand how and why knowledge can be established as scientific facts and how technologies work as innovations in society, we need to look at the dense network of heterogeneous elements that create and stabilize it. Yet, concepts of policy and of the state often remain monochrome. Conversely, policy studies have for long ignored science and technology as active agents in policy. Engaging STS work, policy studies can improve their sensibilities for how exactly scientific knowledge and technologies matter – and in what precise, situated ways – in policy practice. How is policy knowledge fabricated and translated into the design of political strategies of intervention into the dynamics of AMR? In turn, critical policy studies can complement STS scholarship with a profound toolbox to study how certain policies are being articulated, designed and implemented. What seems particularly relevant for AMR is to include a fine-grained focus on how path-dependencies and institutions shape not only the content of policies, but also how “epistemic selectivities” (Vadrot 2016) emerge in relation to complex institutions such as the state and its role in rendering some forms of knowledge accessible to policy programs while others are being silenced or dismissed. How to conceptualize the role of the state in providing corridors for selective policy knowledge? How should we situate science, policy and the state in broader global socio-material formations and particular historical conjunctures (for the relationships between policy knowledge and the state see the recent conversation within critical policy studies in Brand , Paul/Haddad )? These are pressing issues in order to make sense of AMR as a global phenomenon, and could also enrich STS debates more generally – especially in fields that are, right at the outset, as much about science as about policy. To conclude: the challenges that confront the politics of AMR make clear that STS has a vital role to play in establishing not only knowledge but also perhaps help to design policy responses that go beyond the half-heartedly conventional behavioral approaches. However, if it were to adequately address the policy question in STS, insights from other fields are vital. AMR seems an intriguing field to develop synergies between allied yet perhaps estranged fields of critical social science research, and particularly between STS and interpretive policy studies. Åm, H. (2016). Making policy move. Towards a politics of translation and assemblage, by John Clarke, Dave Bainton, Noémi Lendvai and Paul Stubbs. Critical Policy Studies, 10(2), 247-251. Blaser, M. (2014). Missing microbes: how killing bacteria creates modern plagues: Oneworld Publications. Brand, U. (2013). State, context and correspondence. Contours of a historical-materialist policy analysis. Austrian Journal of Political Science, 42(4), 425-442. Chakradhar, S. (2016). Reservoirs of resistance: To understand why antibiotics fail, geneticists chase the‘resistome‘: Nature Research. Gottweis, H. (1998). Governing Molecules. The Discursive Politics of Genetic Engineering in Europe an the United States. Cambridge, MA/London: MIT Press. Paul, K. T., & Haddad, C. (2015). Marx meets meaning: A critical encounter between historical materialism and interpretive policy analysis. A reply to Brand’s State, Context, Correspondence. Austrian Journal of Political Science, 44(1), 46-52. Podolsky, S. H., Bud, R., Gradmann, C., Hobaek, B., Kirchhelle, C., Mitvedt, T., . . . Kveim Lie, A. (2015). History Teaches Us That Confronting Antibiotic Resistance Requires Stronger Global Collective Action. The Journal of Law, Medicine & Ethics, 43(S3), 27-32. O’Neill, J. (2015). Securing new drugs for future generations: the pipeline of antibiotics. London: Wellcome Trust. Vadrot, A. B. (2016). Knowledge, International Relations and the structure–agency debate: towards the concept of “epistemic selectivities”†. Innovation: The European Journal of Social Science Research, 1-12. Woolhouse, M., & Farrar, J. (2014). Policy: An intergovernmental panel on antimicrobial resistance. Nature, 509(7502), 555. 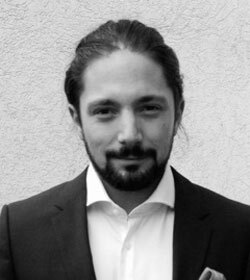 Dr Christian Haddad is a researcher at the Austrian Institute for International Affairs and a Lecturer at the University of Vienna. Working at the intersection of critical policy studies and STS, his research interests focus on the politics of sociotechnical innovation, social studies of health and medicine, and the regulation of (bio-) pharmaceutical research, development and commercialization.